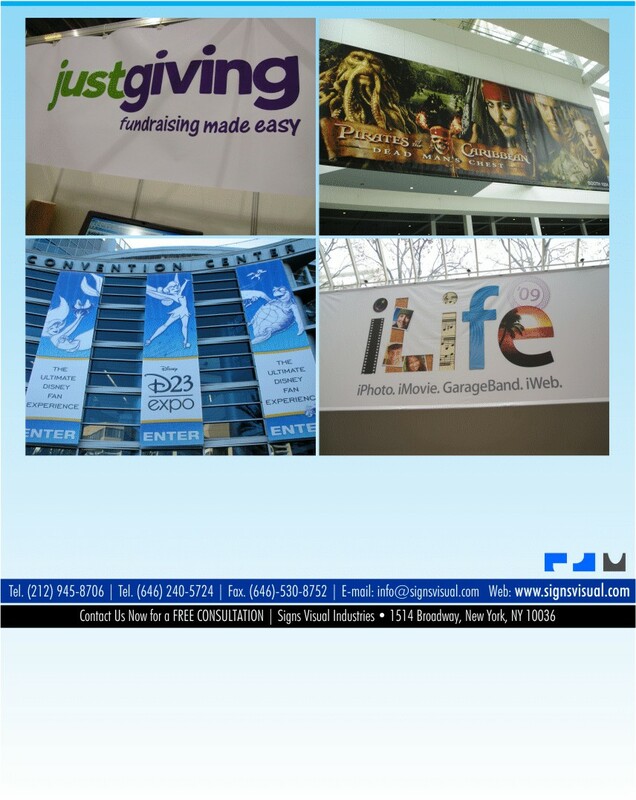 At Signs Visual, we create custom digital printed vinyl banners for both interior and exterior applications in New York, NY. Our vinyl banners can be virtually any size and offer the best image quality for your printed large format graphics and displays. All of our vinyl banners are printed using very high-end wide-format printers that use latex and UV inks for eco-friendly output. Contact us today for your next vinyl banner project in NYC!